Imagine! Behavioral Health Services (IBHS) provides evidence-based behavioral services in a variety of settings through education and collaboration. IBHS team members have long used the latest in technology to help in delivering meaningful and impactful services. Today, they share some online apps that they have found useful in their work. Description: Autism iHelp is a vocabulary teaching aid developed by parents of a child with Autism and a speech-language pathologist. Autism iHelp was inspired by the need for specific language intervention tools for children with Autism Spectrum Disorder focusing on their unique strengths and difficulty with expressive vocabulary. Autism iHelp - WH? 's consists of questions paired with appropriate real world picture responses. This app includes several photos and questions chosen based on established expressive language milestones. Autism iHelp - WH? 's address a very specific area of higher level language need in the Autism population. Through routine learning, children learn labeling of concepts. WH ? 's require incorporating more abstract thought and generalization in regard to the learned concepts. 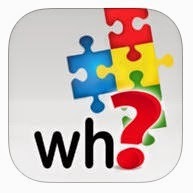 Children with Autism often have difficulty with this particular skill, and Autism iHelp - WH? 's apps are an excellent way to target a vital educational benchmark in a mobile capacity. Additionally, you are able to track your child's gains through progress reports that average the last three performances of each learning enhancement activity. 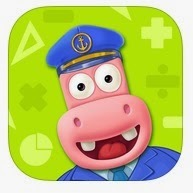 Description: Splash Math is a collection of fun and interactive math problems. The app reinforces math concepts with self-paced and adaptive practice anytime, anywhere (works on iPad, laptops and desktops). 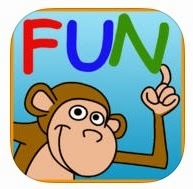 Description: Fun with Directions is designed to provide a fun and engaging way to practice listening, following directions, colors, spatial concepts, auditory memory and auditory processing. From the simplest of directions (“Touch the cat”) to the more complex (“With your orange crayon, color the large one that is a furry pet and likes to chase mice”) individuals can grow and learn with this game over time. Colorful, vivid art and animations against a white background combine to create a complete game experience without visual clutter. Sound effects and surprises keep the game engaging! Included are ten concepts: Give, touch, open, close, top, middle, bottom, push, color, erase. Features include settings for data collection, individual (up to 75users) vs. group play, automatic advance or manual advance to next direction, touch/drag OR touch/tap option, text on/off, (to practice reading vs. listening) selecting specific concepts, and the desired level of play: easy, intermediate, and advanced. An added bonus that is included in this app is the optional “Superstar Direction” which allows additional practice for remembering (“What did you have to do?”) but also expressive language. The response is recorded and played back. Superstar Directions can be set to a variety of intervals or turned off completely.